Do farmed salmon threaten wild populations? 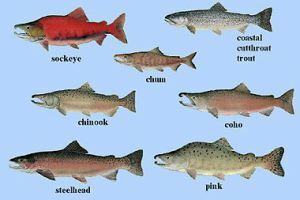 FRISCO — Farmed salmon represent a clear threat to wild populations based simply on the sheer numbers of domesticated fish that escape their pens. Millions of farmed salmon escape captivity each year, potentially with huge consequences for the genetics of wild populations, according to a new study from the University of East Anglia. The researchers concluded that, while farmed salmon are genetically different to their wild counterparts, they are just as fertile. With full reproductive potential to invade wild gene pools, farmed salmon should be sterilized, the study concluded.